SGC – SwitchGear Company, the Belgian medium voltage switchgear specialist identifies its RMU ring main unit medium voltage cubicles using 34 UHF read/write heads from Turck. 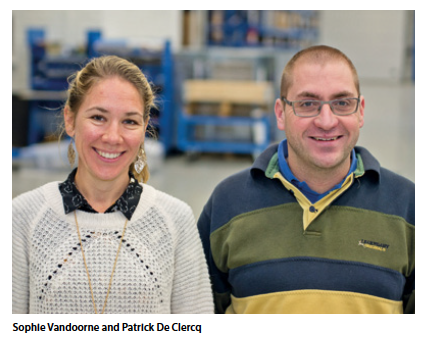 “We are proud of the increased lifespan of our medium voltage cubicles,” said Sophie Vandoorne, owner and CEO of SwitchGear Company (SGC), the Belgian manufacturer of medium voltage cubicles. The company develops and produces medium voltage cubicles for indoor and outdoor applications and operates under the motto “Built to last”.